This was a very entertaining book that got me hooked on the series. The author blended in everything needed to keep me engaged throughout this book. It was an easy read with lots of drama, romance, angst, and humor. 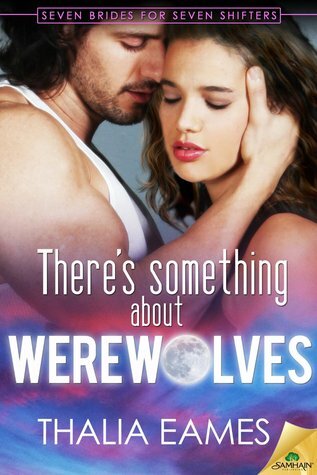 The story had a unique spin on the usual shifter plot and wrote this one as a second chance at love romance. Garret and Lennox were best friends once but never admitted their true feelings until it was much too late. Their friendship was irrevocably broken when Garret married someone else and Lennox was left alone. Years have gone by and they are thrown together again. The connection is still there but the hurt feelings, other people and major baggage get in the way. This book was well written with interesting characters and charming banter that made it a lovely read. I really enjoyed the humor and found myself laughing out loud at some of the scenes. It had interesting secondary characters that livened up the story quite a bit and also has me anxious to read the second book in this promising new series. I hope it’s about Ian because I felt so bad for him and would love to see him get a happy ending. This book was fun and interesting to read. I am happy to recommend it to everyone.